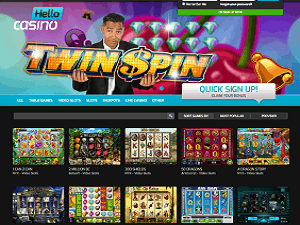 Hello Casino is one of the best online casino sites that we have these days at internet. 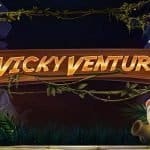 The site uses gaming platforms like Micrgaming, NetEnt, NYX gaming,Betsoft, Leander, Thunderkick, Aristocrat and Evolution Gaming. The site is a place where you can find over 500+ different games to choose. It is one of the leading online casino platforms that accept players from all across the United Kingdom and European Union. The site is licensed by government of Curacao and UK gambling commission. The casino was launched in 2014 and owned by Imperium Network solutions limited casinos. Hello casino does not accept players from these following countries. Albania, American Samoa, Belgium, Bolivia, Bulgaria, France, Ghana, Guam, Guyana, Indonesia, Iran, Israel, Italy,Panama, Papua New Guinea, Romania, Singapore, Spain, Sri Lanka, Syria, U.S. Virgin Islands, Uganda, the United States and Zimbabwe. 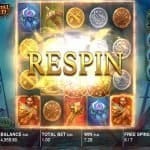 Hello Casino offers huge collection of games to its players. Whether you are looking to play real money online slot games, table games, video slots, jackpots, live casino or other kind of games, Hello casino could be a better option for you. Online slots like Microgaming’s Joker 8000, video slots like Gonzo’s quest, 108 Herroes, Emperor of the sea, 5 Reel Drive, Ali Baba, adventure palace HD, Ariana, Asian beauty, Astro cat, Avlon, Bar Bar black sheep, Basktell stars, beautiful Bones, candy dreams, best of the banks, starburst and hundreds of different kinds of video slot games are available at the site. The site offers table games like Classic blackjack gold, European Blackjack Gold, and European roulette gold. 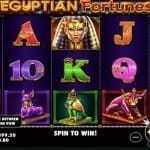 Over two dozens of jackpot games available at the site. Some of them are like Lion festival, Apolo God of sun, Naked Gun, diamond jackpot, Mega Moolah, major Millions, Top cat, Super Spinner, Cupid, Mega Moolah ISIS, King cash lot, Cashsplash 5 Reels, Fruit fiesta 3 Reel, The pig Wizard and many others. Hello casino offers huge lot of welcome bonuses to its players. 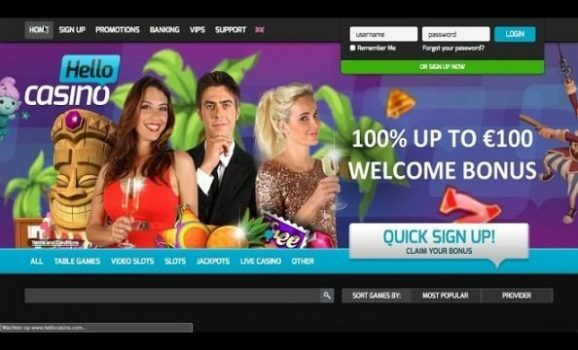 The site offers 100% match to up to €500 bonus to its players on first three deposits. You will also unlock hundreds of free spins at different kind of slot games here at hello casino. You can also earn double loyalty points playing at the casino. Hello casino is available for both Desktop as well as for mobile users. The app is compatible with android as well as iOS. Plus you can play your favorite game without downloading the software to your own computer. There are many options to either make a deposit or withdraw from the casino. Deposit options are Bank Wire Transfer, GiroPay, iDEAL, Moneta, Neteller, Paysafe Card, Skrill, TrustPay, Visa, WebMoney. Whereas withdrawal options are Bank Wire Transfer, Neteller, Skrill, and Visa. Withdrawal limit is €2500 per week. The live chat option provides better contact medium for a player to connect through an executive of Hello casino. You can also e-mail them using support@hellocasino.com for any kind of help. Hello casino has latest SSL encryption certificate for its site so that player can play their favorite games online without feeling any safety pressure. The casino is encrypted by 256 bit SSL encryption. Games of the casino are being tested by many different and independent auditors. 18+. New players only. One bonus offer per player. Minimum deposit of £10, Max bonus bet £5 Bonus offer must be used within 30 days and bonus spins within 10 days, otherwise any unused shall be removed. Bonus spins are valid on the following games only: Gonzo’s Quest, Twin Spin Delux, Asgardians Stone and Bloodsuckers 2 and winnings capped at £50 Bonus funds are 100% of your first deposit up to £100, 50% of your second deposit up to £250, 50% of your third deposit up to £150 Bonus funds are separate to Cash funds, and are subject to 35 x wagering the total of bonus, cash & bonus spins. Terms Apply.